Growing up in Kempsey NSW, Kearnu realised that at 21 years old he had a choice. He could stay in his comfort zone and continue to ‘follow the crowd’, or he could get himself out of some bad situations and make a radical change in his life. He chose the later, and recently decided to relocate to Illawarra so that he could broaden his chances of finding full time employment and get on with his life. Shortly after the big move, Kearnu’s family encouraged him to apply for a program they had heard great things about called ‘The Green Army’. Willing to give it a go, Kearnu applied straight away and enlisted for the Campbell Page Green Army -not knowing where it would lead him. He has now been a participant of the ‘Native Species’ team at Killalea State Park for just over a month, yet has already realised that this experience has opened up some great opportunities for him. 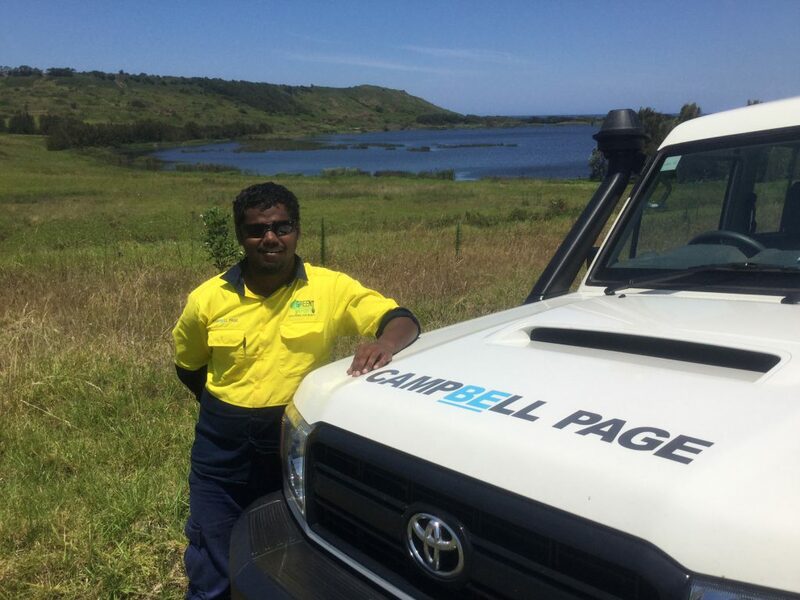 Kearnu quickly became an integral part of the Green Army team at Killalea, and the project has even sparked a new interest for him – the local environment. His enthusiasm for the The Green Army is apparent to his Supervisor, who has noticed that Kearnu is willing to learn as much as he can about each and every plant species he finds along the way. He now hopes to be able to contribute to the conservation of natural areas, and is building a passion to share his new knowledge of the environment to school groups and other visitors at the park. Most significantly, Kearnu has started to map out his career aspirations, with his ultimate goal being a position at ‘The National Parks & Wildlife Service’. The enthusiasm Kearnu brings to the Green Army team is an inspiration for others, as he is willing to go the extra mile to gain as much experience as he can. Volunteering at Killalea State Park on his days off, Kearnu is eager to increase his chances of acquiring a job in the industry as much as possible. The Killalea State Park already view Kearnu as an asset to the team, and his work ethic has been commended by the Campbell Page Green Army supervisors. Never in his wildest dreams would Kearnu imagine that the move to Illawarra would bring with it such a positive turn around in his life. He is excited about the future, and when asked about his experience so far confirmed that ‘if it wasn’t for the Green Army, I’d probably still be looking for work’. Find out more about Campbell Page and the Green Army by clicking the link here.